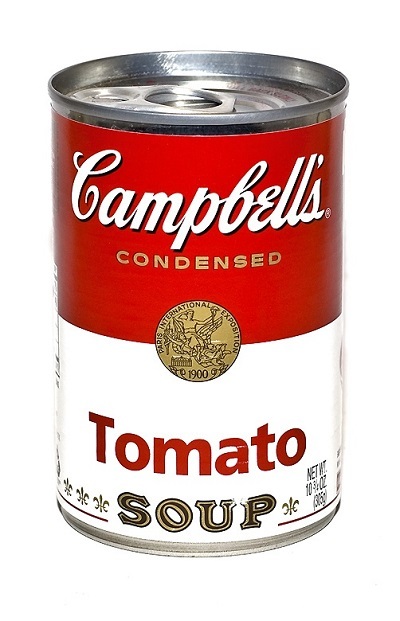 Campbell Soup Company announces the elimination of Bisphenol-A in can linings. Despite the Federal Drug Administration assessment that current levels of Bisphenol-A, otherwise known as BPA are safe in our food supply, Campbell Soup Company has announced that by the middle of 2017, NONE of their products will include BPA in the container manufacturing. This includes all soups, gravies, Swanson broths and SpaghettiO products. They are incorporating acrylic and polyester options for can liners. Some medical studies have shown the consumption of BPA’s can raise the risk of cancer, brain damage and hormonal problems, especially in fetuses and pregnant women, and should be a major health concern. BPA is a synthetic estrogen compound used to manufacture certain plastics and epoxy resins. Used in water bottles, sports equipment, CD’s, DVD’s, plastic food storage containers, liners for canned goods and thermal paper (receipts), the chemically constructed clear plastic is in many household goods. In 1973, Dupont engineered a “Polyethylene terephthalate” (aka PET) plastic, replacing glass, for the commercial bottling industry. A study in April 2010 suggested that PET plastic, when stored at elevated temperatures begins to degrade in composition. Degradation precipitates a chemical reaction which may cause BPA safe levels to exceed FDA safety levels. http://Aminu Tukur (2012). “PET bottle use patterns and antimony migration into bottled water and soft drinks: the case of British and Nigerian bottles”. Journal of Environmental Monitoring 14 (4): 1236–1246. doi:10.1039/C2EM10917D. Health studies have concluded when consumed by expecting mothers and new born children, BPA can alter brain and organ development, leading to disease later in life. Elevated levels can increase women’s risk of breast cancer. Scientists have tied BPA to ailments including asthma, cancer, infertility, low sperm count, genital deformity, heart disease, liver problems, and ADHD. “Pick a disease, literally pick a disease,” says Frederick vom Saal, a biology professor at the University of Missouri-Columbia who studies BPA. http://www.motherjones.com/environment/2014/03/tritan-certichem-eastman-bpa-free-plastic-safe. Such research prompted the United States Federal Government to ban the use of BPA’s in baby bottles, baby formula and sippy cups; however, no such recommendations have been made for the entire food industry. Lobbyist for the plastic industry have campaigned to cast doubt on such research. With a $375 BILLION dollar industry, groups such as the International Bottle Water Association discount such studies as “rumors.” However, the Environmental Working Group contends, “If the agency (meaning the FDA) truly wants to prevent people from being exposed to this toxic chemical associated with a variety of serious and chronic conditions it should ban its use in cans of infant formula, food and beverages.” FDA to Ban BPA from Baby Bottles; Plan Falls Short of Needed Protections: Scientists”. Common Dreams. … Under the Toxic Substances Control Act (TSCA), the U.S. law that regulates chemicals in commerce, it’s entirely permissible to launch a new material into high-volume production without disclosing its precise chemical identity or any information about its toxicity. This makes it impossible for the public to assess product safety independently of manufacturer claims. And currently, despite EPA and FDA policies that support “safe” alternatives to a chemical of concern like BPA, neither federal agency conducts safety testing of new materials destined for consumer products before they come on the market.” http://www.theatlantic.com/health/archive/2011/04/beyond-bpa-could-bpa-free-products-be-just-as-unsafe/237246/. Don’t Leave That Half -Full Water Bottle In The Car…. I have always been told, “drinking from a WARM bottle of water is dangerous.” The IBWA does not have guidelines for heat exposure to water bottles, however, they recommend treating water, just as you would juice, soda or other beverages. I could not find irrefutable evidence that water bottles left in a hot car are more toxic than refrigerated bottles; however, Lena Ma, a University of Florida professor, has lead a research team to study the effects of heat exposure to bottled water. Her research tested 16 brands of water and kept the bottles at 158º for a four week period. Only one brand of bottled water exceeded the EPA standards for BPA tolerate levels, but she admits more research is needed. She added, warmed bottles of water did INCREASE BPA levels, but not beyond the EPA standards. She warns against storing water in a garage or trunk of a car for weeks or months at a time. She concluded that drinking water kept in a warm environment for a couple of days, occasionally, would not be dangerous, but doing it on a regular basis could cause health issues. http://news.ifas.ufl.edu/2014/09/dont-drink-the-warm-water-ufifas-study-says/. Some companies are now producing “BPA Free” products; however, BPS (Bisphenol-S, a BPA substitute) is appearing in human urine tests. There is very little research on BPS products. We only know what manufactures are telling us. Do NOT microwave poly carbonate, or any plastic food container. Avoid recycle containers number 3 or 7, as they may contain BPA.